The SOSAT Choir gives voice to a story and tradition that the paper cannot contain. Many of us have learned the history of Trentino, our history, by hearing the singing: that is our hearts perceived it before our head. They were our fathers and our grandfathers that through singing has taught us the things that you cannot find in books, because it is impossible to encompass the tradition in simple words. The tradition is larger, and it touches the most intimate and profound strings and continues to make them vibrate. We were still the part of Austria, at the dawn of the twentieth century, and the SOSAT Choir has not yet established Maybe it was an embryo nestled in the lap of the Club Harmony, in which some future singers played the mandolins and guitars, and that in the '20s would become the most important amateur dramatic group of the city. The folk singing has already existed before the SOSAT Choir. Certainly. But it was the choir, from its very beginning, to establish a tradition and a history that the printed paper cannot convey. Actually, not a history, but a universe of micro stories that populate our past and that otherwise would have remained mute. In reality nothing comes from nothing: there is always a reason behind a birth. From 1921 there was a SOSAT (Workers Section of Tridentine Alpinists Society): an association that for the first time sought to bring common people to know the mountains, to live there and to keep them company by singing. Until that time the mountains had been the destination of aristocratic explorers and small elite, but finally it had opened to a broader category of common people and had become an environment for everybody. This social and political insight is owe to Nino Peterlongo: and will be used to shape around the mountain the whole collective imagination of Trentino. 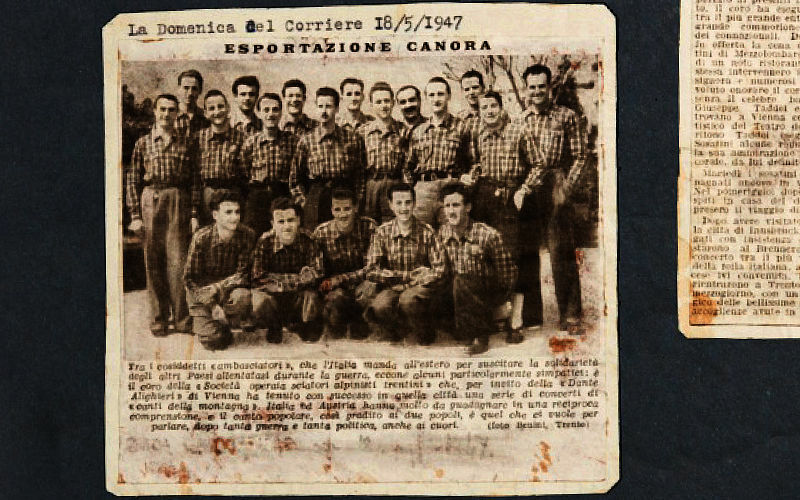 It is said that a few years before the debut, in the laboratory of the Industrial Institute at Corso Buonarroti, the certain Tullio Antoniutti whistled one day the song of the Piave; and that from the other part of the class, someone else, Mario Pedrotti answered. Tullio and Mario had been joined by Enrico, a brother of Mario and by Riccardo Urbani, a friend of Tullio. Eventually they found themselves making music together. The embryo of the choir used to meet on the second floor in the house at the Vicolo Gaudenti, at number 8: it was Pedrotti’s home. The four friends used to meet to play the guitars and the mandolins, and one day they tried to sing the melodies of folk songs that they were playing with the instruments. But what does it mean to sing together? First of all, it conveys the sense of identity. More friends have joined: Renato and Giuseppe Jungg, Leo Seiser, Giuseppe Ranzi, Bruno Pasini, and others. But the voices alone are not enough: someone must intuit their collective value. It was Nino Peterlongo, already the founder and president of SOSAT, man of the exceptional value, with a moral spirit that we have lost over the years. He felt that those voices would become the soundtrack of that mountain imagery that he himself had conceived in 1921. One evening he knocks at the door of the house where the boys are trying out songs and asks them to come out into the open and make official appearance as the SOSAT Choir. The SOSAT Choir therefore has an origin similar to a legend: it seems to come out from nowhere, like a movement of collective consciousness after the years of the Great War and exile. It is not at all a coincidence that the first performance of the Choir takes place in May 1926, exactly eleven years after the entry into the war against Austria-Hungary and when Trentino was in search of a new identity. 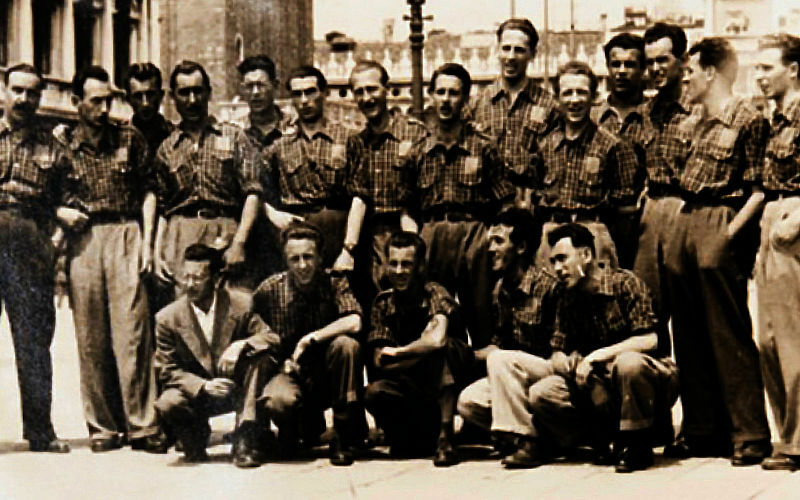 The Choir of the Workers Section of Tridentine Alpinists Society, the SOSAT, was born just so, when the fate knocks at the door. 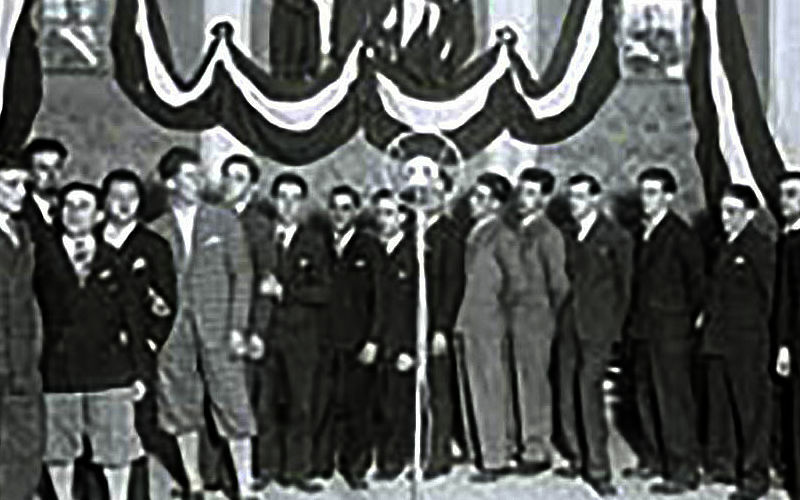 The choir, right from the beginning, encounters the approval of the public. The first concerts are held at various locations in Trentino, but then the reputation of the choir spread throughout the Northern Italy. It is characterized by the spontaneity of its singing – the singing which is rather instinctive than rigidly harmonized. So every concert becomes a unique event and, in fact, unrepeatable. The artistic value of that singing, however, is high enough to attract the attention of prominent figures on the music scene. The fate that creates the SOSAT Choir makes to bring together friends and musicians like Luigi Pigarelli and Antonio Pedrotti. And these in turn begin to contribute to the mountain folk singing the repertoire of songs and harmonies that will mark history. Above all, the soul of the choir was the folk soul: and the guarantor of that soul was precisely Nino. Nino Peterlongo. It was him to whom in 1927 Toni Ortelli had delivered the melody and the words of "La Montanara". At the same time was arriving the difficult times, in which even the precious gift of freedom would be wavered. In 1931 the fascist regime after having failed to conform the SOSAT to its mass organizations, decides to put it under a commissioner. Nino is ousted and ceases to be the President. Most of the members resigned, but the choir continues its rewarding activity. 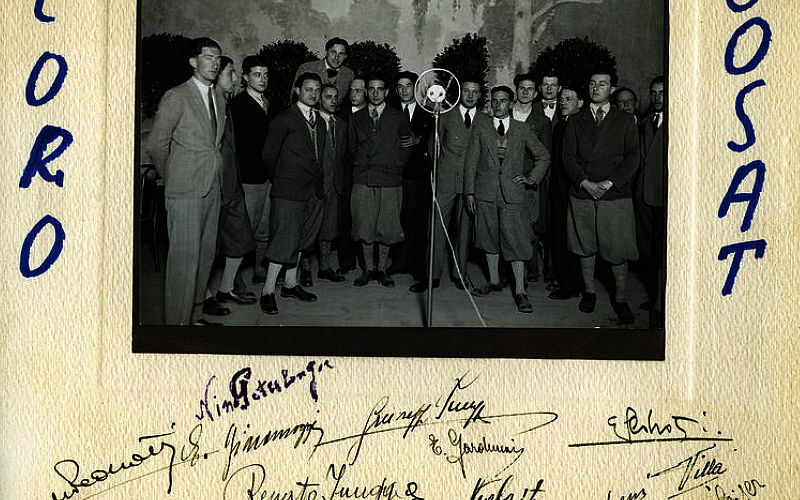 The successes of the choir led it to record, in 1933, the first nine songs; five other recordings were made in the period 1935 - 1937 and numerous concerts were performed in the most important Italian theaters, reaching artistic and musical heights of absolute value. In 1938, then, after the enactment of special laws, the initials SOSAT with its distinctive word “operaio” – “worker” fall out of use. 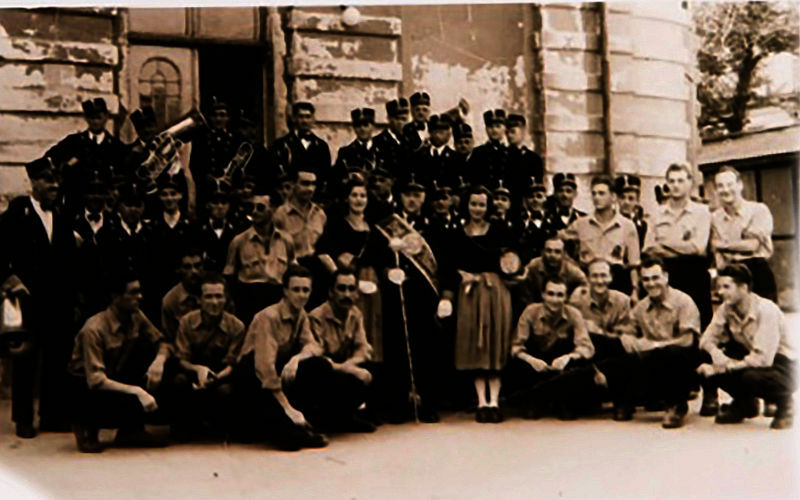 The choir will continue its activities under the name "SAT Choir" enabling also the entry into the history of the Alpine choralism of the parent company - the Tridentine Alpinists Society - which since 1926 had followed with interest and encouraged the rise of the SOSAT as the first choir of the mountains. Thus, the events that marked fascism had reflected also conspicuously in the history of Alpine choirs, causing the change of the name of the first choir from SOSAT in SAT. 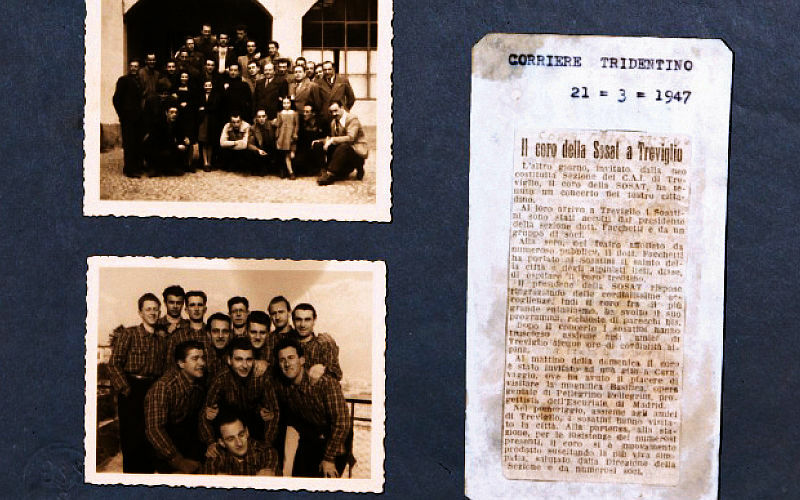 Nevertheless, from the evidence gathered, which reverberate with the tradition, in Trentino the many still call the choir with its old name "Coro SOSAT", at least until the A.D. 1941. That year, when many participants of the choir were called to take part in war that had already begun some time ago, the choir ceases its activities. So there is a continuity between the first SOSAT Choir and the Choir of the SAT: a continuity fed of individual stories of people for whom the passion for singing was stronger than the institutional difficulties against which the SOSAT had been forced to struggle. 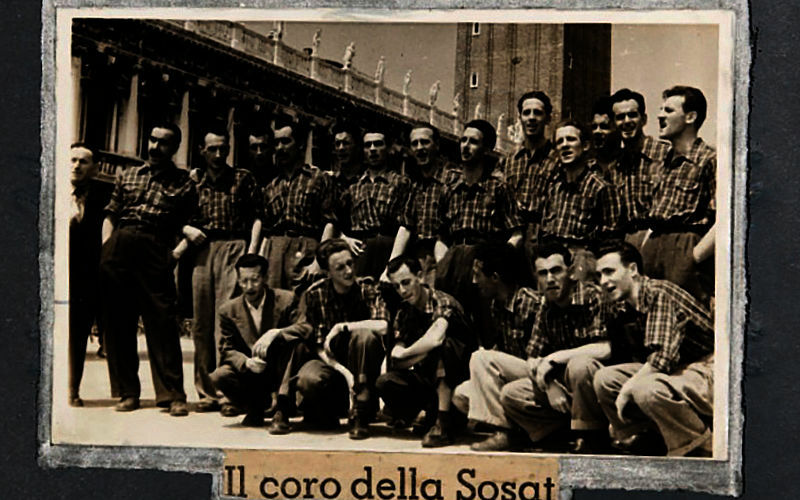 The abbreviation SOSAT will see again the light, soon after the war, when, in May 1945, the first mayor of newly free Trento, Gigino Battisti, son of Cesare, called Nino Peterlongo in order to charge him with the reconstitution of the SOSAT and his choir. 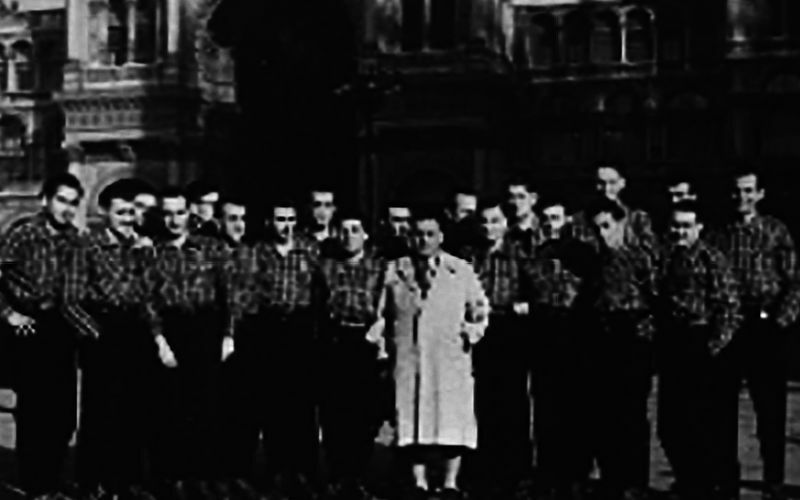 There is an obvious social and political relevance in this gesture: the social-solidaristic inspiration that led to the birth of SOSAT in 1921 and the Choir in 1926 returns to be in demand in a civil society that wants to regain its traditions and grow new confidence in its origin, in its own history. The soul of that history was embodied in the personality of Nino Peterlongo. Franco Sartori is the master of the newly born singing complex that includes, in addition to new elements, old singers who had sung in the first choirs born in the bosom of SOSAT, thus finding a home exactly in the new headquarters in Via Malpaga that they would never leave. Under the leadership of Franco Sartori the Choir SOSAT acquires the stamp of its particular spontaneity that still characterizes it and that will enable it to achieve considerable success on both national and International stages. 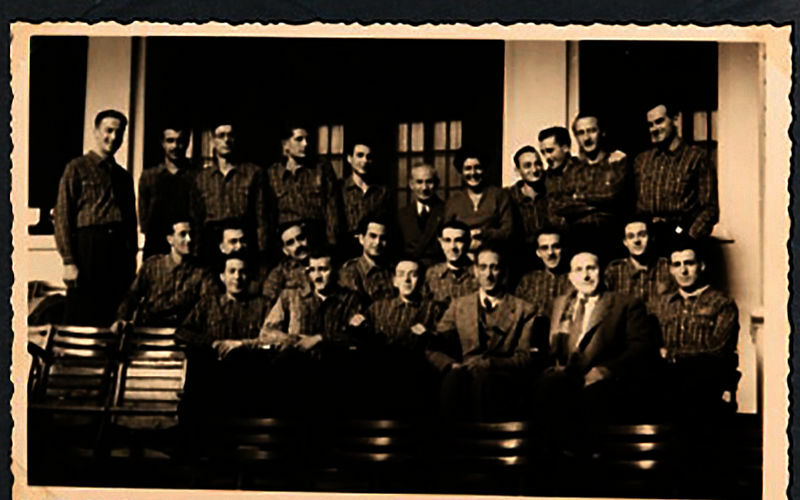 In the month of December 1945, which ended completely the war period, the four brothers Pedrotti (Mario, Enrico, Silvio and Aldo) decided to resume the activities of choir under the name of "SAT Choir." Indeed, before the resurgence there was a period of the unofficial gestation. 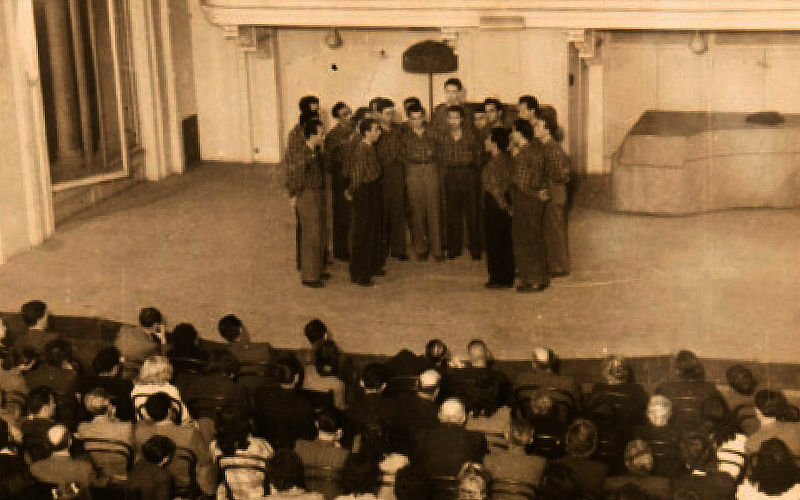 Already after the 8th September of 1943 the activities were resumed, that would have allowed then the resumption of singing: the basis was the home to Nino Peterlongo, who had never given up the dream tied to the glorious history of SOSAT. It 'a crucial decade in the life of the choir, marked by musical and harmonizing ability of Franco Sartori, real reference point in our artistic history. 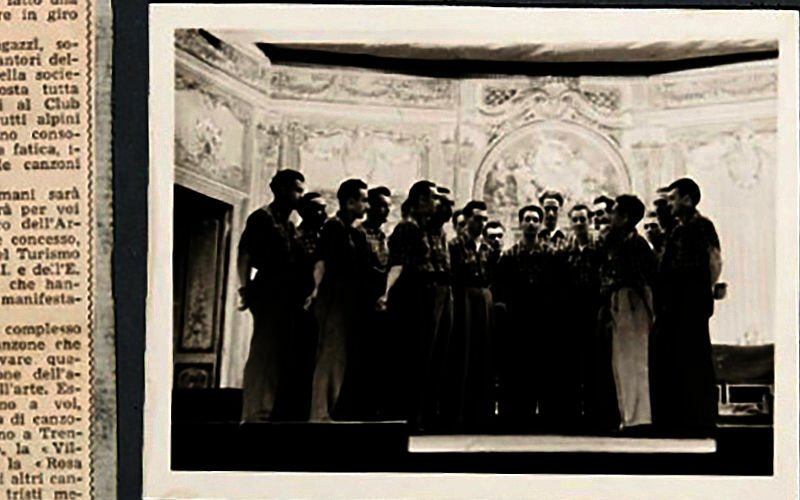 In those years a number of successful recordings for Columbia and a series of concerts crowned with great success took place, among: a memorable performance at the Teatro Comunale di Bologna. This period is marked by the arrival, at the head of the choir, the Maestro Giuseppe "Bepi" Fronza. 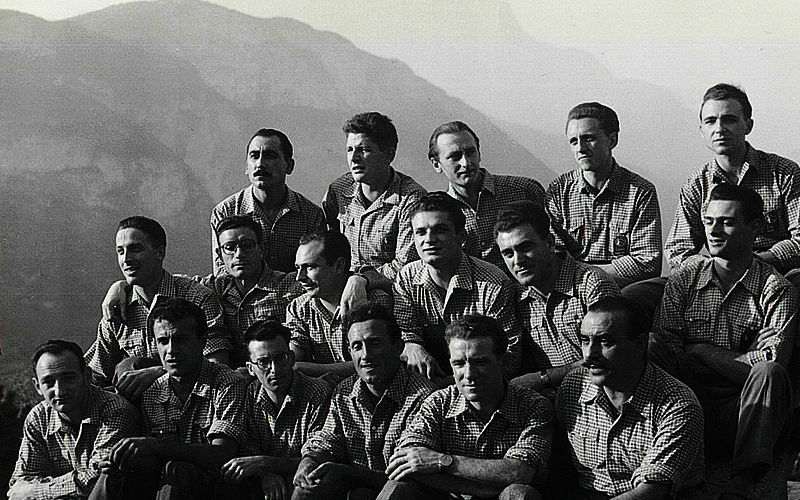 In that period the Choir continues its busy concert and recording activity; and it is also a time filled with awards: the victory at the seventh national mountain song contest of Lecco (1961), the award of the Order of the Thistle, which is the highest award for the mountain people who are fighting for affirmation of the moral values of the alpine world. In the 1964 the first long play was recorded, for the types Ariola in Europe and the initials Cetra in Italy. The collaboration with skillful harmonizers as Luciano Fumai brings the singing complex at a threshold of awareness that marks the profiles of an acquired maturity. Camillo Dorigatti should certainly be counted among the musicians that have marked the artistic life of the choir. After having sung for years in the section of the baritones, he proceeds under the guidance of Giuseppe "Bepi" Fronza. Since 1980, the year he was appointed the Master, Camillo Dorigatti writes and harmonizes some milestones of the recent repertoire of Sosat, enriching the musical culture of SOSAT with charmed references to heritage of Russian folk music. He died prematurely in 1987, leaving a human gap and at the same time important musical legacy. These are the years marked by stabilization and enhancement of the musical heritage that has spanned almost the entire twentieth century. The extensive repertoire dates back to Luigi Pigarelli and Antonio Pedrotti, with the fundamental contribution of Franco Sartori and harmonization of Luciano Fumai and Camillo Dorigatti, just to mention some of the examples. The choir finds its stability under the guidance of Paolo Tasin who will direct the vocal ensemble SOSAT until 2011. Since 2010 the Choir has performed nearly two thousand concerts in Italy, in Europe and the Americas, participating in numerous radio and television broadcasts. He has also edited a lot of musical publications and recorded several albums, CDs and DVDs for Italian and international brands. 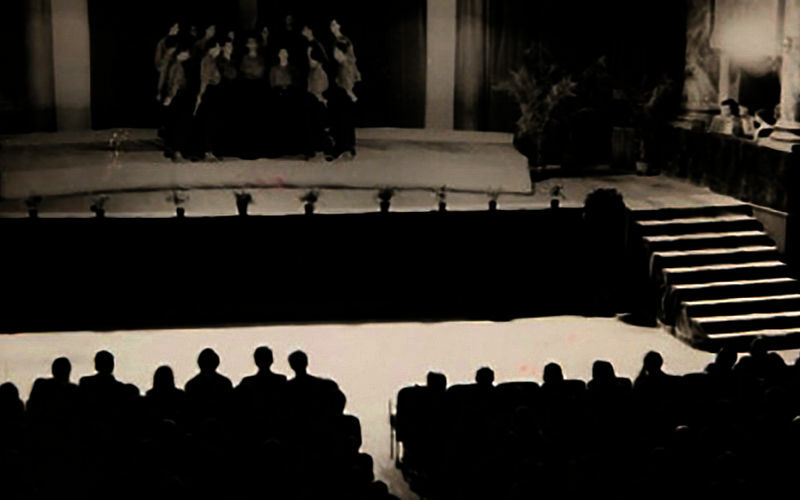 Since 2011 the artistic guidance of Coro SOSAT is entrusted to young Roberto Garniga. The road undertaken is aimed at rediscovering of the voice and the timbre of folk singing of the mountains typical of the their origins. They came by changing over the years, preferring often in a large part of the Alpine choirs, an aesthetic ideal and formal perfection, in respect of which, the intended spontaneity that characterized the period of the origins and the onset of the Choir SOSAT is often sacrificed. That first choir has become the heritage of all, as the mountains among which it was born and which have now become the protected World Heritage Site of UNESCO. 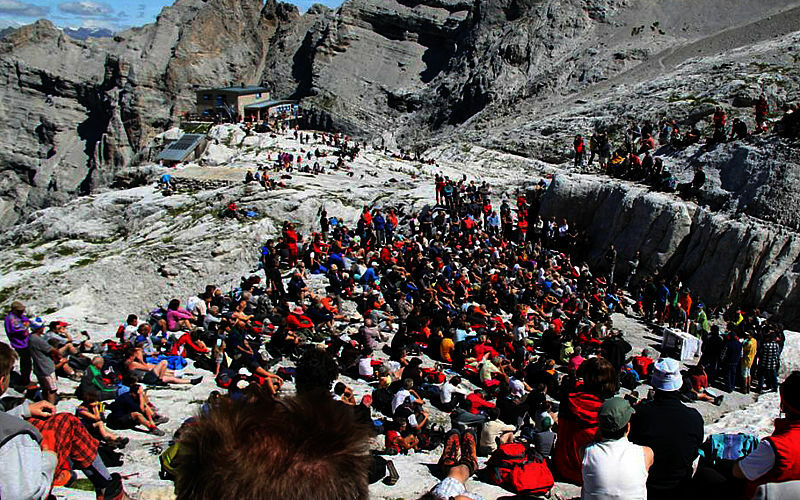 The same protection is now required for the folk mountain singing born in Trentino together with the SOSAT in 1926.